Steven has quite a background when it comes to his career in entertainment. Starting his career in school Steven was involved in a lot of drama productions were he was an actor and studied drama and choreography. From there Steven became a part of a team who were starting their own in-house and school mobile disco which became a huge sucess! 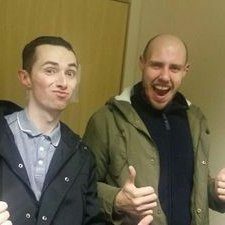 Due to his comitment and hard work Steven became the Entertainments manager for the school which was overseeing all things entertainment related such as discos, karaoke club, bingo nights and so much more. Steven is also a main stage presenter which he still does to this day. Since leaving school he has completed a sound production course and is now studying ‘NQ Radio & Sound Production’ at New College Lanarkshire. 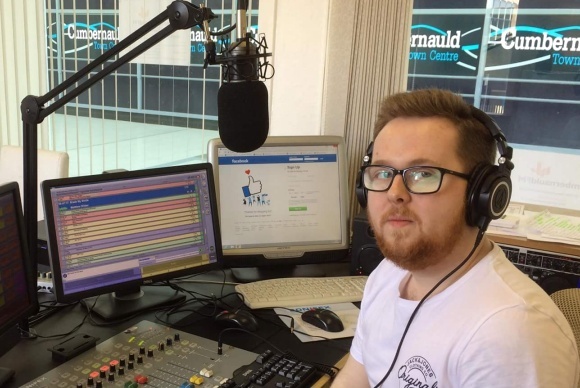 Joining Cumbernauld FM in 2017 as ‘The Drivetime Show’ Presenter he continues to make people smile. Steven currently DJ’s and provides kids entertainment part time in the Cumbérnuld area. Where there is a Cumbernauld FM event that involves entertainment you will find Steven there for sure. 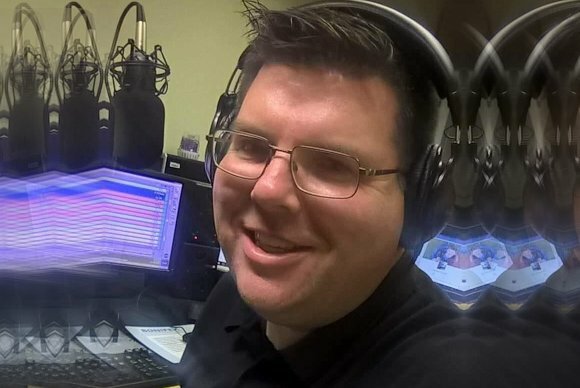 Join Steven M every weekday 4pm-6pm for ‘The Drivetime Show’. 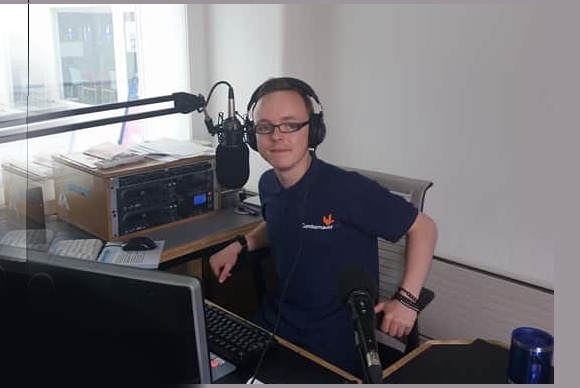 Takes you on a journey from Ed Sheeran to Anne Marie, Ryan plays all the best songs with his vast experience in radio he sure knows how to put a good show together. Tune in and listen to all the best songs if your looking to wake up in the morning then this is the show to listen to. 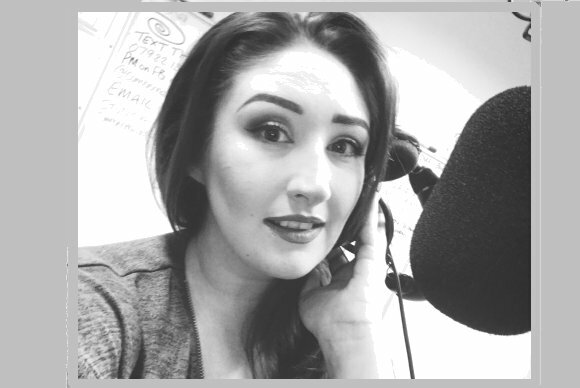 Newly moved to Cumbernauld, Emma studied radio broadcast many moons ago but has always had a passion for music. She’s currently studying civil engineering and can usually be found with her nose in a book and pens in her hair. Ideally, Emma would play nothing but Biffy Clyro, but she understands that’s not everyone’s cup of tea! Her show features all types of music, as long as it makes you feel good! The 2’Oclock Pick Me Up is all about getting you through the last part of your day, when you’ve had your lunch and you’re counting down till you can put your feet up! 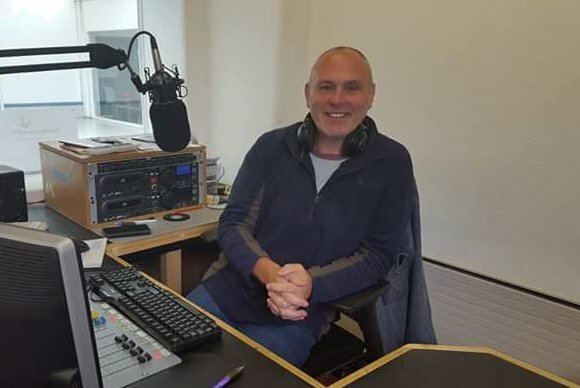 Graham Forrest has been hosting his Saturday Lunchtime Show for well over a year now and he enjoys playing faster paced music from the 80’s onwards with a few current chart hits thrown in for good measure. His love of pop trivia and his ‘Backtracker Quiz’ make for a varied show. 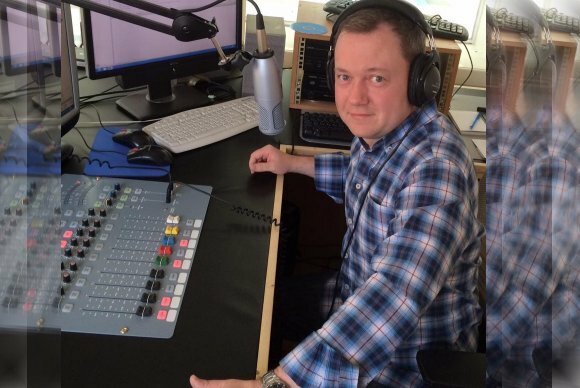 Join Graham Forrest every Saturday from 12pm-2pm with ‘The Backtracker Show’. 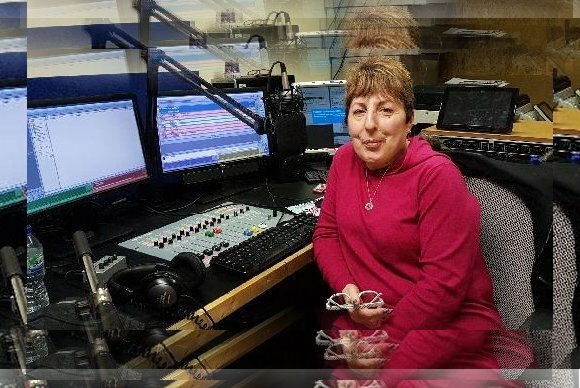 Joan joined Cumbernauld FM last summer after three years experience with a college radio station. 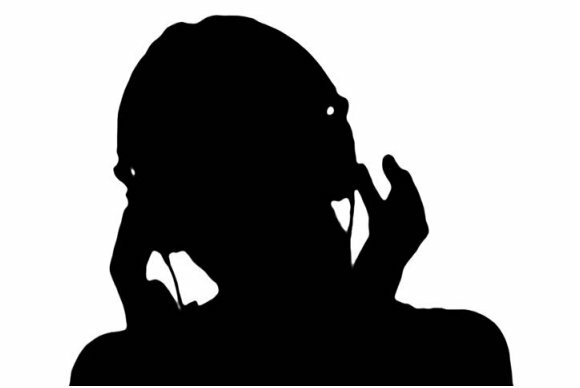 She is currently looking for submissions from new and unsigned acts. Joan has very diverse tastes, playing everything from punk to disco, from rock to hip hop. She has recently been joined on her show by her grandson Ryan, so there’s quite a bit of input from the younger generation as well. Joan is also happy to play requests and to do shout outs, so get in touch. Join Joan every Thursday evening from 6pm – 8pm. Although relatively new to the world of broadcast media, George is no stranger to bringing music to the public. For more than thirty years, he has been a musician recording, touring and composing with various artists throughout Europe, primarily in the bands White and DMP with whom he has released a handful of acclaimed albums. More recently, George has been involved in providing music for independent film and stage productions in London and is currently working on a number of screenplays, one of which is based on his youthful adventures in the music business. 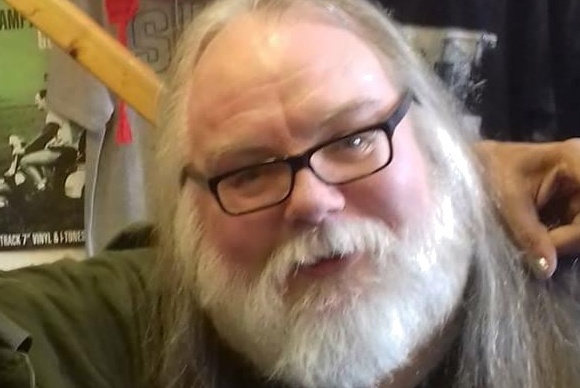 His eclectic show on Cumbernauld FM has attracted followers from all over the globe with regular listeners tuning in from Cape Town, Stockholm and Los Angeles as well as a small but devoted following from closer to home. Javed has over 30 years of Community Media experience. A lecturer at NCL Cumbernauld. Involved in third sector with WSREC and part of Community Radio with Awaz FM. A Council Member of Community Media Association and Scottish Community Broadcasting Network. 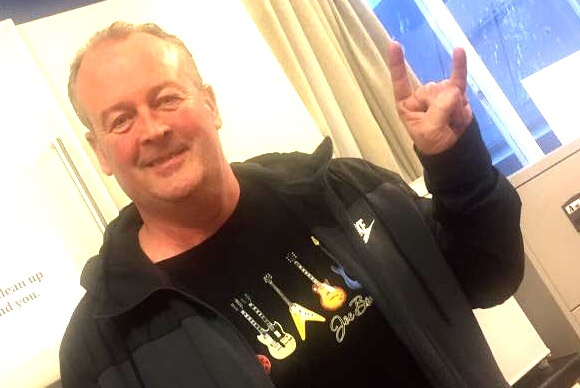 Campbell is a well-known face on the Glasgow rock scene, attending as many gigs as his wallet and liver could cope with over the last 40 years, and has been presenting the Fatman’s Rock Show online for the last 5 years. His passion for music is stronger than ever and when he says the rock scene is currently in the best health for decades, you better believe it! His show covers most aspects of the rock world over the last 50 years, from the amazing unsigned new talent out there to the established legends and everything in between. You’ll hear anything from traditional classic rock to prog, metal, blues and punk, so it can be an eclectic and intriguing mix to match his taste in music, and you’ll never know quite what to expect each week, but you can guarantee, it will rock!